In the summer of this year, the rain was particularly heavy. In addition to causing trouble for people's travel, it also contributed to the damp and hot weather. Five working days a week, the clothes were not soaked in sweat, or they were wet by the rain, and encountered showers. When it comes, people's clothes even have to accept the 'double test' of sweat and rain. On the issue of changing clothes, the washing time is long and the rest is delayed. After washing, it is air-dried in the room to dry, and the things that are left to be wetted frequently occur frequently; if there is continuous rainy weather, there is even continuous drying and mildew. Situation. It can be said that cleaning in summer and drying clothes have become a big problem that plagues people's lives. 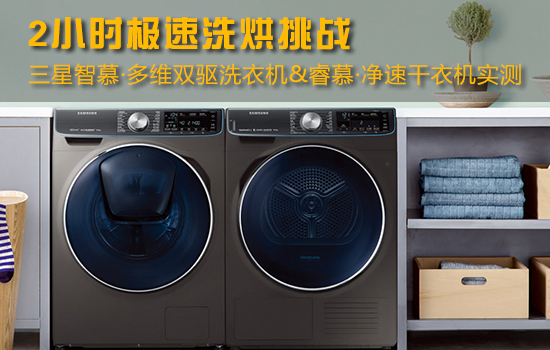 To solve the above problems, Samsung Zhimu·Multidimensional Double-Drive Washing Machine and Samsung Ruimu·Net-speed Drying Machine can help you. Samsung Zhimu·Multidimensional Double-Drive Washing Machine WW90M74GNOO is equipped with industry-leading hybrid speed net technology and AI artificial intelligence laundry butler, steam sterilization and other core technologies, allowing consumers to enjoy the 'quick, clean' laundry experience. And Samsung Rui Mu· The net speed dryer DV90N8388AX is equipped with a heat pump low-temperature drying technology to achieve a professional and complete low-temperature drying effect. Its quick drying process can achieve 35 minutes of quick-drying, which provides great help for consumers to solve daily clothing drying problems. With the help of Samsung's 'quick wash + quick-drying' wash kit, users can finish washing and drying their daily clothes in as little as 2 hours. In humid and hot weather, it will greatly liberate people's lives. Stress, add to the quality of life. 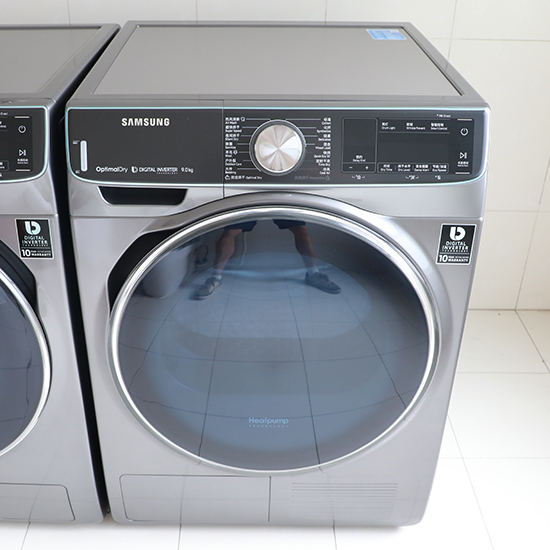 Of course, Samsung Zhimu multi-dimensional double-drive washing machine WW90M74GNOO and Samsung Rui Mu·net speed dryer DV90N8388AX can really complete the 2 hour wash and dry challenge? China National Grid will conduct a comprehensive test on them, to see how the actual performance. The original 'double motor, double-drive inner cylinder' is the most prominent feature of Samsung Zhimu multi-dimensional double-drive washing machine WW90M74GNOO. The inner cylinder of the washing machine is divided into two. The bottom of the cylinder and the wall of the cylinder are controlled by separate motors. The bottom and the wall of the cylinder rotate in different directions, and the washing mode of 'rolling force + beating force' is realized by the two-way water flow movement mode, which not only maintains the advantages of the ups and downs, but also the shock of the front and rear tumbling water flow, effectively reducing After half the washing time, it created a new pleasure for the home laundry to quickly wash. Washing fast, the clean multi-dimensional double-drive inner cylinder is not only powerful, but also the wall of the wall is designed with water corrugated inner wall. The shape of the finger indentation is increased in depth, and the dewatering hole with a diameter of only 2.4 mm forms a capillary flow, which is soft and delicate. Does not hurt the clothes, effectively reduce the wear and tear, and at the same time in and out more water, accelerate the dehydration of the clothes, and increase the laundry time to add more help. In the current era of 'face value', the value of home appliances can not be ignored. 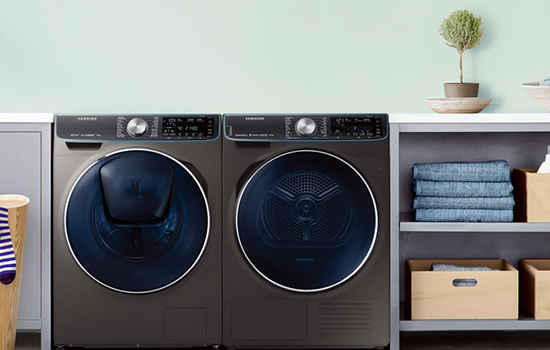 From the appearance of this washing machine, you can see Samsung's innovation in its overall design style: not only the streamlined body, its intelligence Full touch panel, metal texture knob refracts delicate luster, ice blue screen display is more fashionable as a modern home style, amazing. 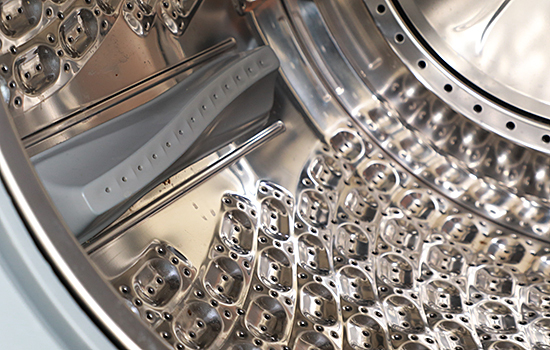 Up to 14 program functions, through the preset time, different temperature and different cylinder speed programs, can fully meet the user's laundry and protective clothing needs. 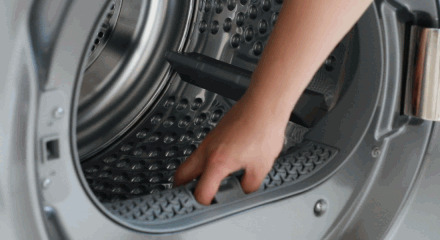 Among them, the professional one-button intelligent washing program can intelligently sense a variety of washing information, automatically put a proper amount of detergent and softener, can achieve multiple washings at one time, accurately fit multiple types of washing programs, one-click laundry, peace of mind . The machine is also equipped with Samsung's unique 'Anxin Tim' function. 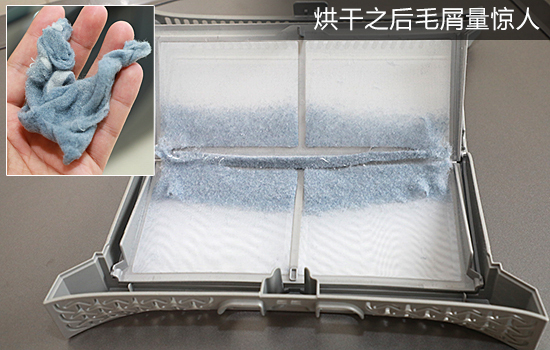 Through the butterfly window design on the blue crystal large window, you can add missing clothes at any time during the washing process, no need to drain and wait, no worry about foam overflow, solve the leak Wash small clothes or add detergent puzzles midway. In addition, the machine also has a patented technology of bubble net, wrapping clothes with rich 'bubble pad', reaching the clean experience of fiber depth and reducing fabric damage. Intelligent frequency conversion motor, saving electricity, high efficiency, quiet washing Performance, and enjoy 10 years of professional quality assurance, allowing users to use with confidence. After introducing the washing machine, let's take a look at the dryer. As a late entry into the Chinese market, the dryer has always been a feeling that the effect is average, and it takes a long time. 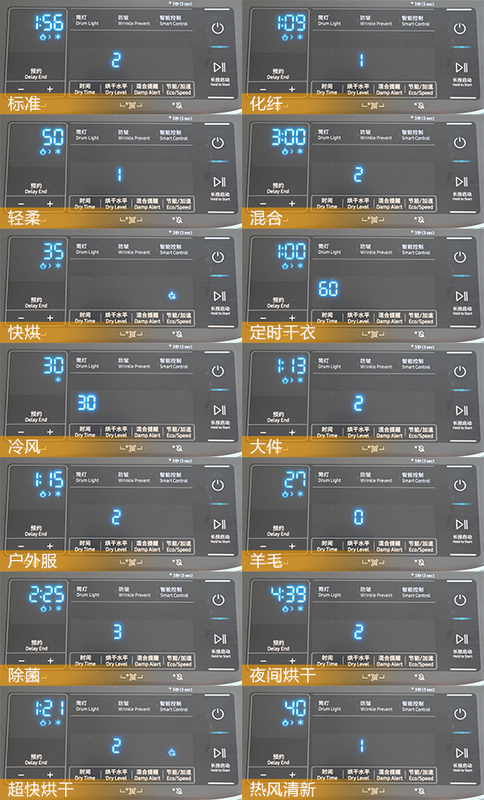 Samsung Rui Mu·net speed dryer DV90N8388AX name The word 'net speed' in the middle is designed to solve the pain points mentioned above. 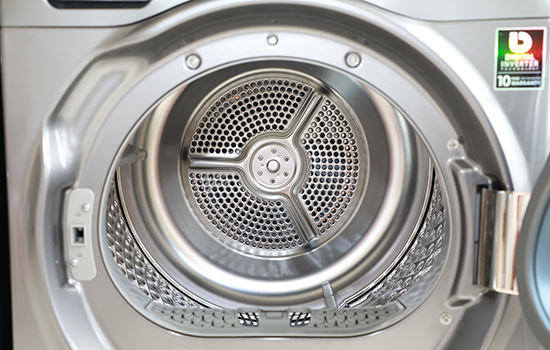 For professional dryers, the drying capacity is often very large, and the ordinary drying process is more than an hour, but for daily changing or a small amount of clothing, this time is too wasteful. Samsung Rui Mu · Net speed The dryer DV90N8388AX has a maximum drying capacity of 9 kg. There are also many suitable procedures for daily changing or a small amount of clothing, such as the '35 minutes quick drying' program, which is specially designed for a small amount of clothing, and can be dried at a very fast speed in 35 minutes. Separately, two shirts can also be quickly dried, and every day can be as clean as 'new'. 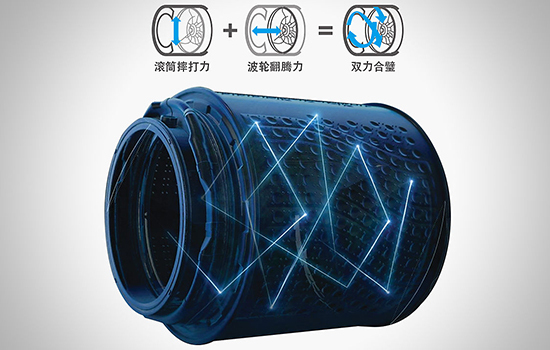 Features 'hot air fresh' program, for the case of not dirty but contaminated with odor, or dry clothes during the rainy season, use hot air to blow, effectively decompose the odor particles on the clothes, and can restore natural and fresh clothes without washing. For the drying effect, the machine is equipped with the excellent intelligent drying system, through the temperature, humidity, heat exchange three-dimensional sensor, constitutes a smart drying system, real-time monitoring of the dryness of the clothes, confirm that the clothes have been baked After drying, it will automatically terminate the program, reduce energy consumption, and care for the fabric. In addition, as a heat pump dryer, it can be dried at 40-60 ° C, which not only avoids the high temperature burn of delicate fabrics, but also provides efficient and energy-saving drying experience. 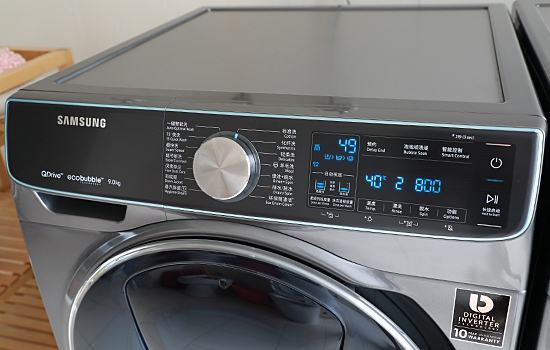 Appearance, Samsung Rui Mu · Net speed dryer DV90N8388AX and washing machine complement each other, the same streamlined body, intelligent full touch panel design, metal texture knob refracting delicate luster, ice blue screen display, put together A beautiful scenery. In terms of details, the machine has a double-layered fluff filter. After each drying, it can quickly clean the dander generated by the drying process, saving worry and saving trouble, giving the user a cleaner drying effect. For households with small space and insufficient water supply and drainage lines, the machine also provides a solution. No need to link the water to the water, just by visualizing the water tank, dumping it in time, cleaning up the water produced by drying, it is greatly convenient. Place and use. In terms of hatches and inner cylinders, the Samsung Ruomo Net Dryer DV90N8388AX is also very sophisticated in its workmanship. 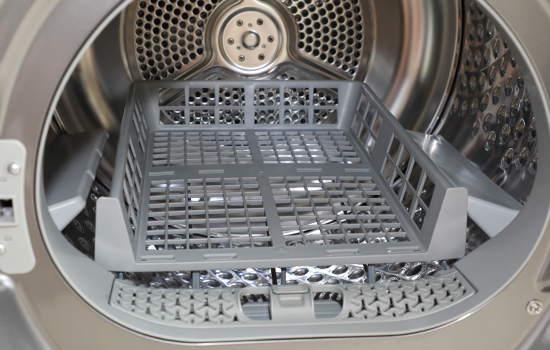 In addition, there are inner cylinder drying brackets, which are specially designed for shoes or those that need to be tiled for drying. 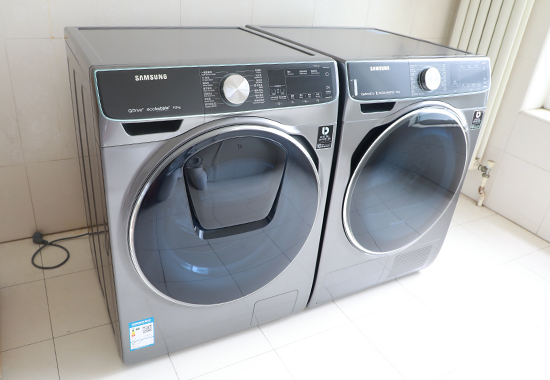 In addition, the machine also has an intelligent control system, through the Samsung smart program APP, you can easily control the drying program; when some clothes first reach the ideal dryness, it will automatically suspend the program, let you take out some clothing. 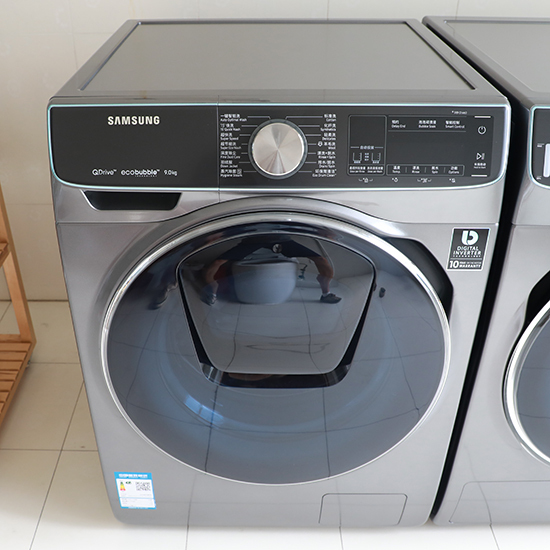 Samsung Zhimu multi-dimensional double-drive washing machine WW90M74GNOO highlights a 'quick, clean', and Samsung Rui Mu · net speed dryer DV90N8388AX also main fast drying, then the washing and baking combination can pass the 2 hours washing and drying challenge? In order to verify, we will contaminate a piece of clothing, and add weight clothing, simulate the routine washing and drying of the family to see the washing time and cleaning, drying ability. We applied the four common food stains of 'Olive Oil, Chili Sauce, Soy Sauce and Yogurt' to the clothes to be tested and put them into the washing machine together with the weights. Choosing the most distinctive 'one-button smart wash' program, it is expected to take 56 minutes to wash, and add detergent and softener to the detergent box, and the whole washing process will be solved by the washing machine itself. 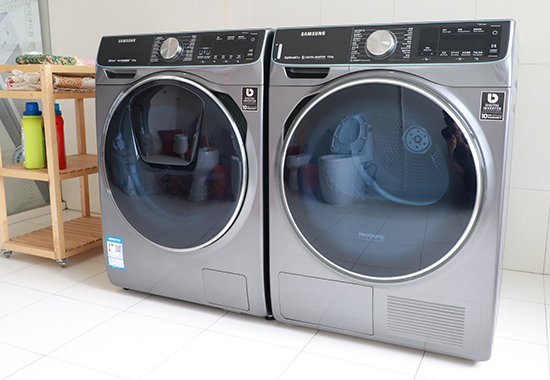 We used the mobile phone timer to synchronize the timing of the washing process; after 51 minutes and 55 seconds of waiting, Samsung Zhimu·Multidimensional double-drive washing machine WW90M74GNOO completed its work, which was shorter than expected. The actual time of washing is 51 minutes and 55 seconds. 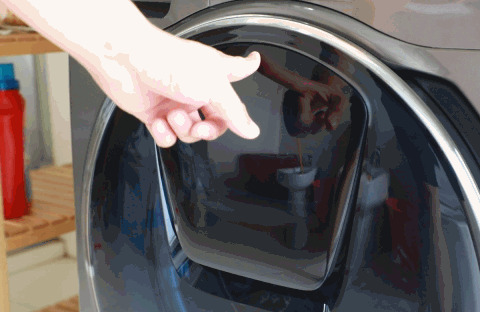 In terms of cleaning effect, in addition to the olive oil stains that are difficult to clean, the other three stains have completely disappeared, and the washing time is shorter than that of the general drum washing machine (generally, the drum washing machine takes about 1 hour and 10 minutes to clean), taking into account our clothes. The pollution is actually quite powerful, and the washing time is already quite good. 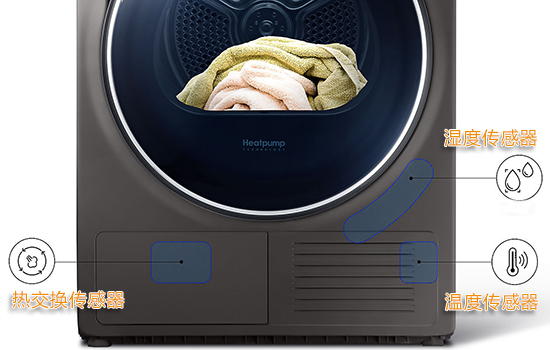 After washing and drying, we will use the Samsung Ruimu·Net-speed dryer DV90N8388AX for the second drying experiment. Considering that there are more clothes, we did not choose the '35 minutes quick drying' program, but chose the 'ultra-fast drying' program for mixed clothes and drying load (35 minutes fast drying program maximum load is 1 kg, suitable for daily laundry drying, its standard time is 1 hour and 21 minutes. After 1 hour, 5 minutes and 23 seconds of waiting, the Samsung Ruimu Net Dryer DV90N8388AX completed its work, which is also shorter than expected. Let us see if the clothes have achieved the drying effect. Take out one piece of clothing and lay it on the washing machine and dryer. You can see that the clothes are not only very soft and stretchable, but also achieve the effect of drying and wearing. Of course, we should not forget to clean the fluff filter and water tank after drying, especially the fluff filter, the accumulated dander in one time. Friends who have not used the dryer before will definitely be surprised. 1. It is impossible to remove the crumbs. For professional dryers, the Samsung Ruomo Net Dryer DV90N8388AX program is very practical, and its intelligent sensing system can also adjust the drying time according to the drying effect of the clothes, avoid excessive drying and burn clothing. In general, for heavily polluted clothing, Samsung Zhimu Multi-Dimensional Double Washer WW90M74GNOO actually takes 51 minutes and 55 seconds. 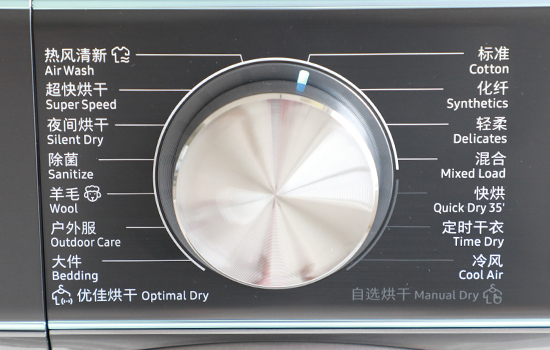 In addition to special stubborn stains, the cleaning effect is excellent, and automatic addition also avoids detergent residue and other problems; Clothing, Samsung Rui Mu · Net speed dryer DV90N8388AX drying time of 1 hour 5 minutes 23 seconds, excellent drying effect, soft and stretch clothing. This washing and drying experiment is generally used 1 hour 57 minutes 18, '2 hours washing and drying Dry challenge' perfect compliance! 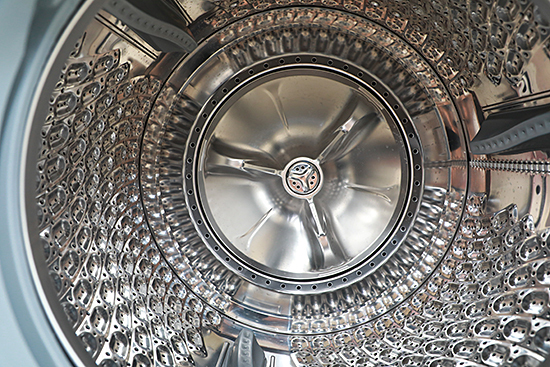 In the wave of consumption upgrade, if consumers bring more peace of mind, labor-saving washing and drying experience, is an important direction for the development of washing machines and dryers in the future. Samsung Zhimu·Multidimensional double-drive washing machine WW90M74GNOO and Samsung Rui Mu·Net Quick-drying machine DV90N8388AX, officially experience the upgrade of high-quality masterpieces. Samsung Zhimu·Multi-dimensional double-drive washing machine WW90M74GNOO broke the limitation of only single-powered drum washing machine or pulsator washing machine, and innovatively introduced the subversive design of 'double motor, double-drive inner cylinder', realizing the inner wall and barrel of the inner cylinder Rotating in different directions at the bottom, through the two-way water flow movement, the washing mode of 'rolling force + beating force' is combined, which can be repeatedly beaten up and down, left and right, and can be rolled forward and backward, greatly improving the cleaning efficiency and washing time. 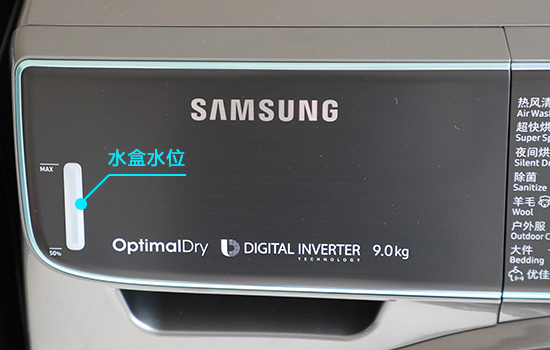 As a relatively low-receiving home appliance, dryers and Chinese consumers are in conflict with the character of drying clothes, but Samsung Rui Mu·Net-speed dryer DV90N8388AX with excellent intelligent drying system, professional and meticulous, personalized The drying program realizes the actual effects such as intelligent control, rapid drying, and drying, so that the user experience reaches a considerable height, which can be said to represent the direction of consumption upgrade. 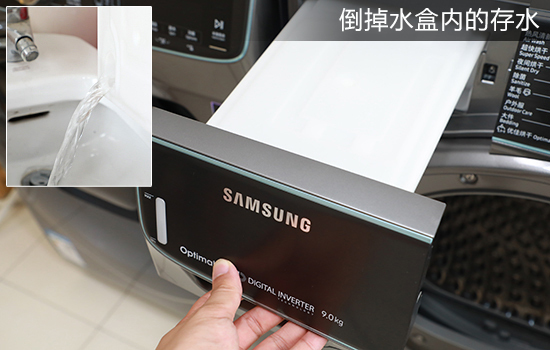 In this China National Grid '2 hours washing and drying challenge' test, Samsung's washing and drying set is perfect in time, and it also performs well in terms of effect. It can be said to be the best choice for consumers who pursue quality life.